The Lingering is a deliciously creepy gothic tale of strange goings-on in a mysterious former psychiatric institution populated by some slightly odd characters. Oh, fine. Right, it’s also part psychological thriller, part domestic intrigue, part ghost story, and entirely brilliant. It’s got a lovely slow-burn build up where the characters and setting are introduced and you think that things might be a *bit* odd but then the tension starts ratcheting up, notch by inevitable notch. Given that the story is set in an abandoned asylum, you know that the characters aren’t in for a nice little summer holiday. You’ll never look at a bathtub in quite the same way ever again, I can assure you. There’s a creeping sense of unease as the story progresses and we find out more about Ali and Jack Gardiner, and what brought them to the self-contained commune in the Fens. It’s clear pretty much from the off that they’re hiding secrets, both from the commune and from each other, and it’s fascinating watching that play out over the course of the story. I loved Smeaton Dunsmore, head of the cult-like community lead by The Book of Light, and fellow commune-member Angela Fairley’s hunt for the paranormal in the halls of the former hospital. And Rosalind House plays such a central role in the story, with its myths and legends about what might have happened there. It’s a fabulously creepy setting, and coupled with the what-are-they-really-up-to semi-religious commune, you’ve got the perfect mix. Huge kudos to Mark Swan (@kidethic) for another stunning cover. It captures the mood of the book perfectly. 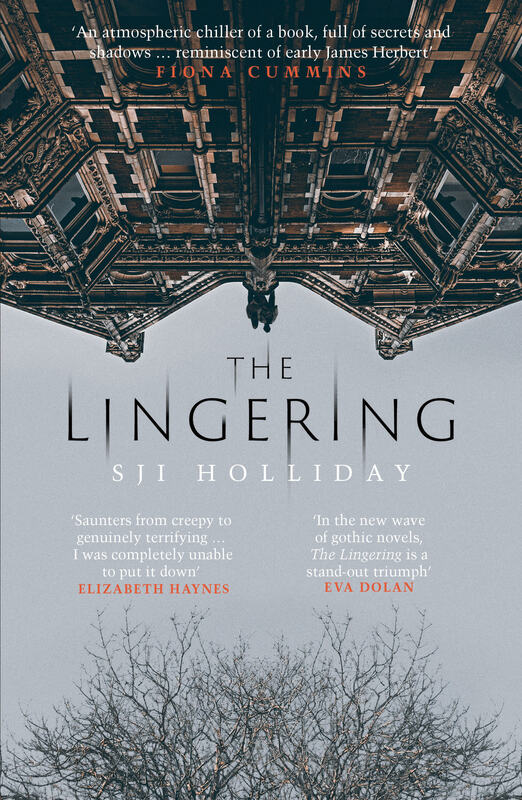 The Lingering by SJI Holliday is published by Orenda Books and is out now. Many thanks to Karen Sullivan and Anne Cater at Orenda for the review copy. I love this cover, and I’ve been wondering about this book. Not sure I can take a scary bathtub scene, though!